He knows both sides: welding technology and occupational safety at the same time. 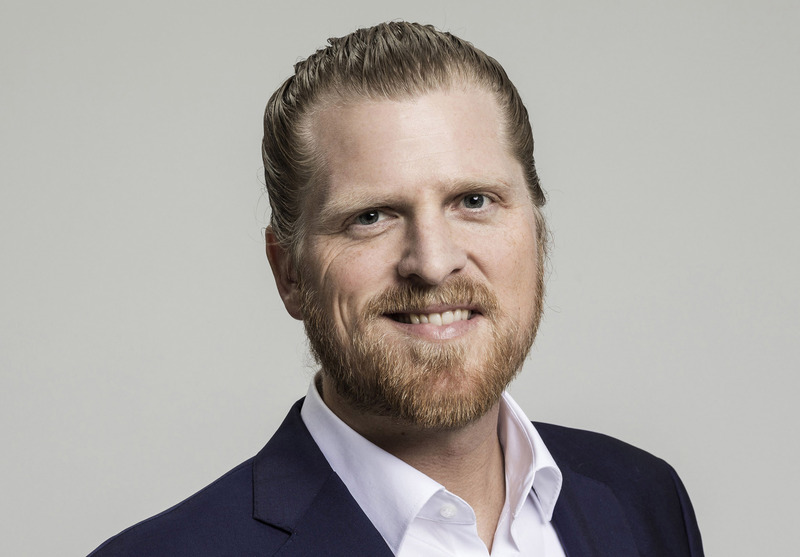 At the beginning of 2019 Frederic Lanz changed to KEMPER. After 100 days as managing director, he reflects on what he has achieved so far. In an interview, the 37-year-old describes how he envisages the production of the future in metalworking. Mr. Lanz, you have made a name for yourself as an innovator in the industry and have broken new ground in welding technology in the management of KEMPPI Oy. What does your new job at KEMPER feel like now, apart from efficient welding seams? Just the same as always, but different at the same time: It feels very much the same to me. In principle, I talk to the same contact persons on the customer side. But I have a different perspective on the welding issue as a whole. My focus is now clearly on the health of our employees. Occupational safety is a very big and exciting topic. I feel like I’m on a mission. As a pioneer in welding fume extraction, this attitude is a daily reality at KEMPER. The self-image of KEMPER is one side, the perception of your customers is the other. How do you perceive the attitude towards occupational safety during welding? Occupational safety is constantly increasing in relevance. Employers see the productivity of healthy welders as an argument for investing in effective extraction technology. Specialist welding dealers, who usually define themselves by the brand of the welding technology manufacturer, are discovering the topic for themselves – also due to growing sales figures and the attractiveness of the OH&S equipment. The fact that KEMPER has doubled its turnover in the past eight years speaks for itself. Where is this change coming from? Is it a revolution from below by the welders, is it the employers themselves, is it legal requirements that are causing greater demand? Awareness of the need for occupational safety is growing on all sides. Clean air is much more an issue in companies than it used to be. Rumours, such as that milk helps against welding fumes, date back a very long time. 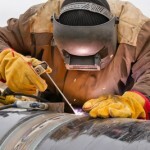 Virtually everyone in the industry knows nowadays that welding fumes are harmful. 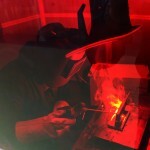 Today, welders are much more informed via social media or blogs such as safe-welding.com. No one wants to inhale welding fumes voluntarily. We are also seeing a change in awareness among the employers. Better air makes people less ill. In the long term, the health of our employees will be maintained. In the short term, occupational safety ensures a high level of employee satisfaction. And, at the end of the day, standardisation is also becoming ever more stringent. This is not only the case here in Germany. Recently, for example, the occupational safety requirements in Great Britain have been tightened. France also has strict guidelines on how to carry out extraction “properly”. Sounds like everyone actually agrees. The fact that there are still areas on the world map where occupational health and safety is not really implemented – to put a positive spin on it –is, however, contrary to your findings. That is certainly correct. I have increasingly spoken from a European perspective. There are still enormous gaps worldwide – and we are trying to take care of that. We have just strategically repositioned ourselves at KEMPER. We want to increase sales a further 50 percent by 2025. We aim to achieve this goal in particular through targeted internationalisation. We have recorded growth rates in the entire occupational safety market for years and this confirms our course. That is the quantitative side, let’s move on to qualitative development: Where do you see the greatest challenges for sustainable occupational health and safety? Extraction technology is still perceived as peripheral. In the future, however, occupational health and safety will have to be perceived much more as a main component of welding. 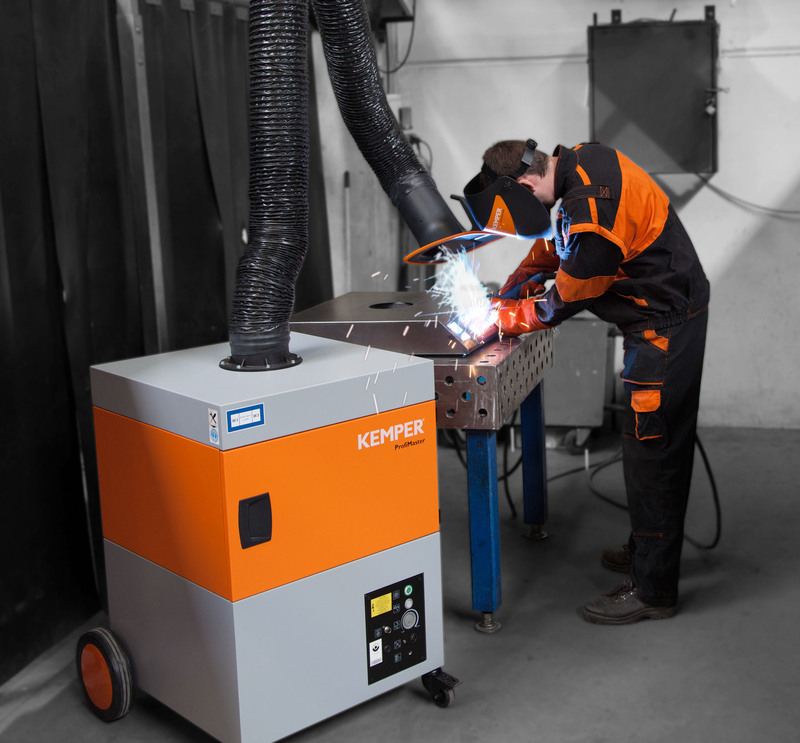 Just as welders no longer want to go without their welding helmets, welding fume extraction should also be part of their daily work. We need to give occupational safety a certain amount of coolness. Do you remember the time when skiers would never have worn a helmet? Today, it is quite simply the cool-designed ski accessory that nobody wants to go without on the slopes. Such examples where health plays a role can often be found in other areas as well. We are already working on this in the field of metalworking today. Switching on the extraction system should be as self-evident as putting on the seat belt in the car. What does this look like in concrete terms with extraction technology? At KEMPER, we focus on an attractive industrial design coupled with superior functionality and connectivity. Extraction systems are not just heavy square boxes. Our devices are fun and want to be used. Does a chic design take the serious issue of employee health into account? Not alone, of course, but at least in part – because welders have taste and are into a cool product image. We see it in discussions about welding helmets and welding seams. But, of course, the issue of occupational health and safety has a much larger dimension: The former head of the International Institute of Welding once said that welding is a 3D technology where 3D stands for dirty, dull and dangerous. I’ve been preaching for years that we should make welding a 3C business! Let’s make welding cool, clever and clean. ‘Cool’ indicates that the extraction technology achieves such an image with welders that they absolutely want to use it. ‘Clever’ means that the equipment and systems operate completely automatically, reducing the effort on the welder and increasing efficiency. ‘Clean’ stands for welders working in a clean production environment and staying healthy. You have explained cool, clean is clear in any case. Clever refers to the digitisation of the extraction technology. How do you envisage the production of the future? When it comes to occupational safety, sample production considers not just the individual welder but also the total air for all employees. We combine spot extraction units with room ventilation systems – we use spot extraction units optimally and in the interests of the customer. In the future, it will no longer be possible to comply with legal limits in any other way. 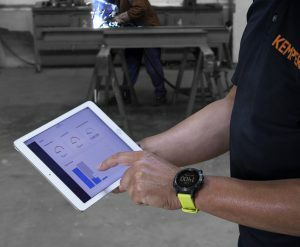 This sounds quite analogous on its own, but digitalisation has even more effects: The production of the future is a combination of purposeful connectivity – where machines communicate with each other when the welding torch of the extraction system says when and how much extraction has to be applied. Predictive maintenance becomes smart maintenance. A system no longer only indicates when its own filter is saturated. Networked production thinks ahead and also has other systems in view in order to optimise service calls and guarantee the maximum service life of the system for the customer. Isn’t that still a dream of the future? No, we are already there. At KEMPER, we are currently thinking digitally about all our products. The right infrastructure is now in place. Now it is up to the companies to fully exploit the potential. We are not resting on our laurels, but consistently developing extraction technology to meet their needs.